The hats of the old west didn’t all arrive creased. 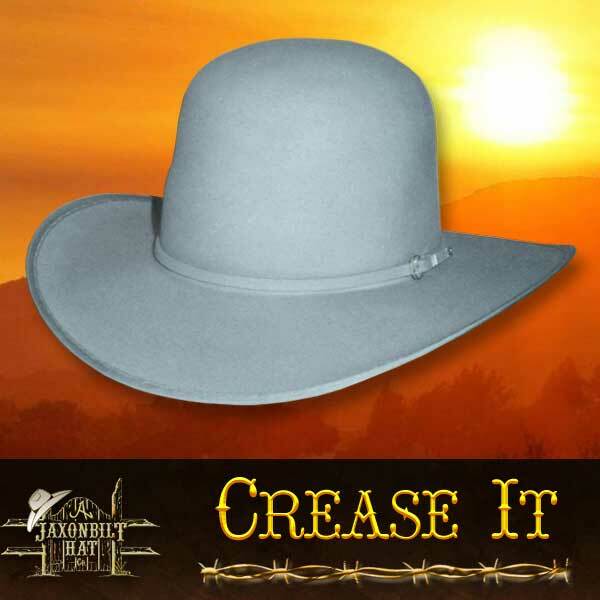 That’s why JAXONBILT is proud to have as part of our old west section, the hat that comes to you OPEN, and no crown crease. Take it from the box and wear it proudly! Try your own hand and “crease it your own self”. Any JAXONBILT HAT can be ordered open. We will gladly leave the brim open as well. 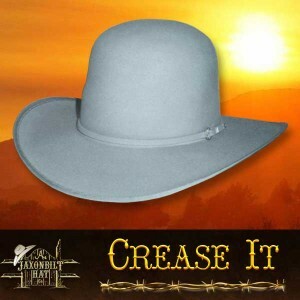 The hat shown has a “self-crown band”, 4″ bound brim, standard 5 3/4″ crown and is silver belly in color. Call for your free conformer kit.